High Strangeness: Happy 70th Anniversary, Roswell! The big day is almost here! The 70th Anniversary of the famed Roswell "saucer crash" is almost upon us, so let the celebration begin! Yes, in July, 1947, a flying saucer from another world crashed on a remote ranch outside Roswell, New Mexico, and forever changed the course of history. As reported in the July 8, 1947 Roswell Daily Record, the U.S. Army Air Force had "captured" a flying saucer and transferred it to "higher headquarters." The story also pointed out that Mr. and Mrs. Dan Wilmot of Roswell had seen a strange flying object from their front porch a week earlier, and that they, "...apparently were the only persons in Roswell who seen [sic] what they thought was a flying disk." So, we've got us a real UFO mystery, and we're going to celebrate its 70th Anniversary like crazy! But, what exactly are we celebrating, and when exactly do we celebrate it? July 4? July 5? July 6? These dates and many more have all been suggested as the day the event took place, but no one really knows. And you know why no one really knows when "it" happened? Because no one ever actually saw anything happen. The were no witnesses who saw a UFO out over that ranch -- the Wilmots, remember, saw their UFO from their front porch in the middle of town a week earlier -- and there were no witnesses who actually saw anything crash. From there the narrative gets stranger and flimsier. First of all, according to the newspaper account, Roswell Army Air Base had "recovered" a "disk." Not the wreckage of a crashed disk, but an intact disk. Yet today the Roswell narrative is all about recovered wreckage. Why? To me, when the initial strand of a story doesn't check out, the rest of the story falls apart. And here we've got something that right from the very start absolutely does not check out. Why would the military claim they had recovered a flying disc if all they'd really recovered was wreckage, as today's Roswell "experts" insist? Then there are the "corpses." The article in the Roswell paper never mentions any recovered alien corpses. In fact, at the time of the events, no one was talking about alien corpses at all. Today, though, dead aliens are a fixture of the myth. But even if you accept the reality of the aliens, you still have to decide how many corpses were recovered, and whether any of them were alive. 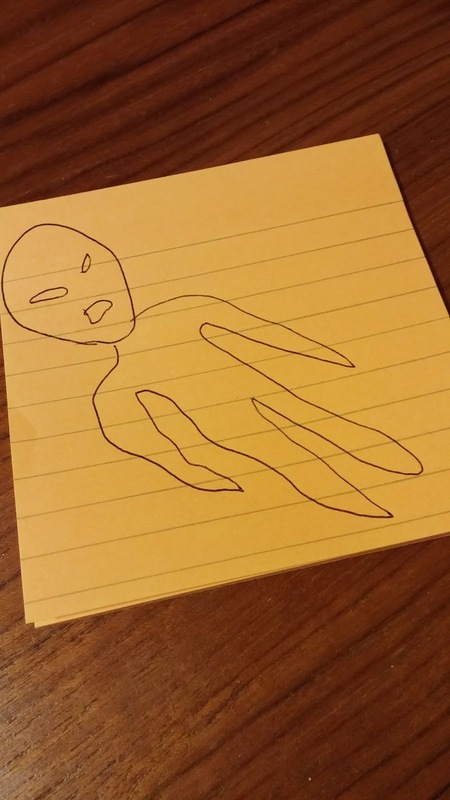 Depending on which version of the modern Roswell myth you subscribe to, there was one alien or there were several aliens, and either they were all dead, or most of them were dead but one survived, or they all lived. Oh, you also have to decide how many "crash sites" there were: One? Two? More? It's a sticky wicket, all right. I repeat my question: What exactly are we celebrating, and when exactly do we celebrate it? I have an idea: maybe from now on we commemorate the anniversary of the Roswell myth with a week-long event that encompasses every day in early July on which the events are said to have occurred. It would be a massive celebration of all the zany crackpot theories and odd bits of so-called "evidence" that have cropped up over the years. 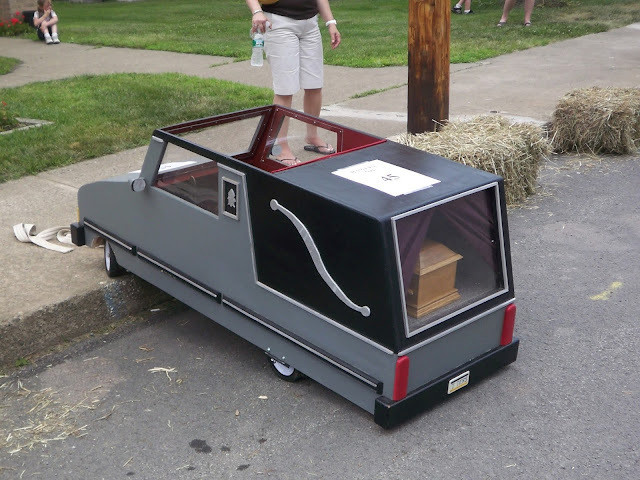 We could call it "The Smoking Gun Festival," and we could start it off with a parade led by four very short hearses in honor of the great Glenn Denny. What's that? You don't know who Glenn Denny was? Why, he was the local Roswell undertaker who claimed that someone from the Air Base called him up in July '47 and ordered four tiny caskets on the hush-hush. And of course, if you order four tiny caskets, you also need four tiny hearses, right? Think, people: if you have in your possession four tiny dead aliens and you don't wish to draw attention to that fact, you do not call the local undertaker and order four pee-wee coffins. I would think that someone at the air base would realize that, if such tiny bodies existed, you could put those tiny bodies in full-sized caskets and not arouse any suspicion. In fact, you only need TWO coffins. Think about it. Then there could be the Frank Kaufman float, with a larger-than-life typewriter, in honor of the many fake Roswell Air Base documents he secretly typed up on his vintage typewriter late at night in his home office, then "leaked" to gullible Roswell researchers. The funniest part of this story, to me, is the fact that Kaufman was Director of the Roswell Chamber of Commerce, and the Roswell researchers never seemed to catch on that Kaufman might have ulterior motives for helping to keep the Roswell story alive. Then there could be a gap in the parade, in which there's just nothing there, in honor of "Nurse X," who claimed to have witnessed the infamous "alien autopsy" and then just seemed to vanish into thin air! NOTE: In some versions of the story there are multiple vanishing nurses, so it could be a very large gap in the parade! The Grand Finale of the Smoking Gun Festival parade would be a massive tribute to the person who has done more than anyone to spread awareness of the Roswell events around the globe. 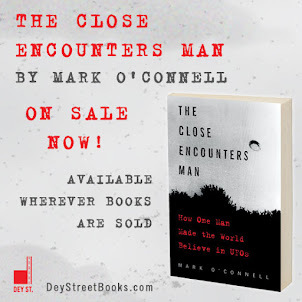 I'm talking, of course, about that international Goodwill Ambassador of UFOlogy, the mummified corpse of the Pueblo indian child that spurred the all-too-recent "Roswell slides" fiasco. 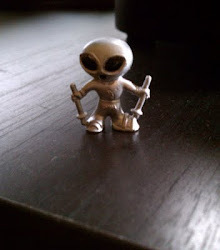 Yes, this little ersatz alien could ride on a gigantic cliff-shaped float, on which he would be displayed in his original glass display case from the museum at Mesa Verde National Park -- along with the original, controversial placard that was mis-read or simply ignored by so many Roswell eager beavers.